Organising a fundraising event is a great way to make a real difference in the lives of vulnerable refugees, while also raising awareness of the issues they face. It can be a lot of fun too! Could you help fund vital services such as a support group, training befrienders for newly arrived refugees or providing a food parcel for someone with nothing? 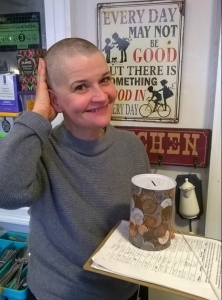 Recently our supporters have raised money through events such as a coffee morning with friends, a church talk & collection, a sponsored bike ride, a sponsored head shave and by organising a fundraising concert. If you would like to support refugees through fundraising, we can help you through each stage, from publicity for your event, setting up a My Donate page for sponsorship, and providing a fundraising pack. For more details, contact Karen Lawson who will be pleased to hear from you.